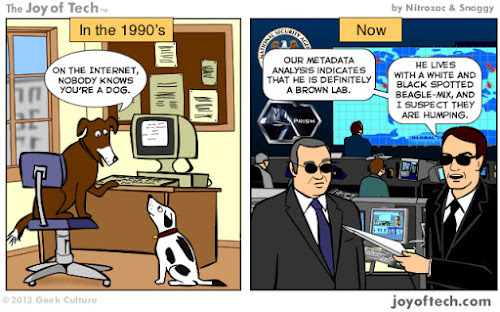 Revelations of the emergence of the 'surveillance state' in the US has deeply disturbed many who have been in denial about what massive accumulation of private individual data allows. Even though the private corporations may profess no nefarious intentions, the very fact that they have this data leads to temptations, targeting and inevitable opportunities of misuse. Facebook recently suffered a leak of 6 million private emails and phone numbers. These have surely been recorded by someone and will be used as targets for spammers, or as stolen shell identities to send out spam. The phones will get targeted with international spam calls offering cheap services and holidays. If the social graph (list of contacts) has been obtained then its even worse, as emails will go out to all friends of the stolen identity containing alarming, embarrassing, and unwanted messages. Online ('cloud') service providers, such as Google, Apple etc. do not want you to be anonymous or even pseudonymous. They want to have the power of attorney over you complete true digital identities. At this year's WWDC, Apple was very happy to publicly declare that it has 575 million paying accounts, most of which have stored Credit Card details. YouTube has been constantly sending out requests to have users change their online public chosen names replaced with their true First - Last names. A problem is that this identity especially when connected out to other services including ecommerce, becomes a massive target. IT Technology is not absolute - as long as information can be accessed by one person, then the mechanisms meant to keep another out will inevitably be overcome. Weaknesses will be technological as well as human. There are many existing and emerging programs of national surveillance and industrial espionage out there. If one is holding a guarded fort of valuable digital information, one should not wonder if it will be breached but when. 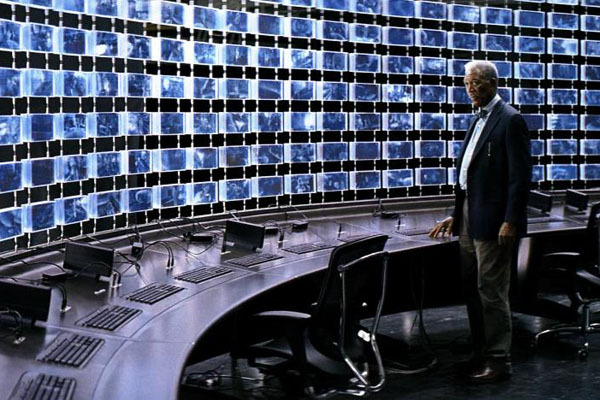 In the Chris Nolan's The Dark Knight (2008), the scene that keeps coming back to me most is when Morgan Freeman's character is mortified, when Batman asks him to use a new surveillance technology over their own company's mobile network to spy on the whole city simultaneously and locate the criminal targets. Freeman suitably calls it 'unethical ... too much power for one man' and agrees only after Batman agrees to destroy the machine at the end of mission. How likely do you think that such a tool, once constructed, would be dismantled in real life? The following is a very information packed diagram from Baynote, about where all the privacy data is coming from and going to, in some of the popular online presences.